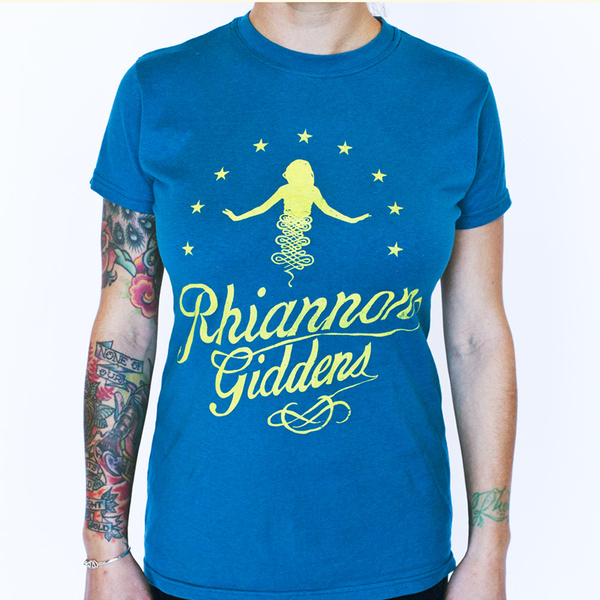 Teal t shirt adorned with Rhiannon Giddens name and a genie. T shirt is super soft and 100% cotton pre-shrunk from Tultex. Back is blank.